However, this is certainly no ordinary tribute show. The cast is led by impersonator 'Navi' who is without question the leading and most successful Michael Jackson tribute artist on the planet. A claim that is backed up by Navi's incredible list of achievements that have been chalked up in a glittering career spanning over two decades in 57 different countries. Navi's career highlight came in 2003 when he was invited to perform at Michael Jackson's 45th birthday party in Los Angeles. Michael not only applauded Navi, but went on to give him a standing ovation and a thumb up. This was an incredible moment for Navi which was captured on film. "To meet Michael was one thing, but to perform in front of the greatest entertainer of all time and to perform his songs was no easy feat and extremely nerve-wracking." Unbeknown to Navi, the 'personal' highlight of his career was to come only the following day when he was invited to visit Michael’s home, Neverland - a surreal experience for the impersonator. Navi spent the day inside Neverland, visited Michael’s cinema, zoo, went on a few of his theme park rides and had a barbeque on the grounds. This memory will always be one of Navi’s most precious. The relationship continued and over a period of many years Navi was frequently hand-picked by Michael to work for him in several different ways. This included coming out of hotels as a decoy to distract waiting fans and press whilst Michael quietly slipped out the back exit. Navi was also hired for promotions of his forthcoming tours and album launches. Since Michael's death, Navi has continued to work alongside the Michael Jackson Estate and in January 2010 he performed to a sell-out London O2 Indigo audience. The same venue where the "This Is It" concerts sadly never took place. Navi has been touring internationally ever since and now returns to the UK for a string of dates. “This is the reason I began performing my tribute - to represent Michael in the best possible way in cities all over the world. We just hope that the fans enjoy our show and that we continue to spread Michael’s legacy." 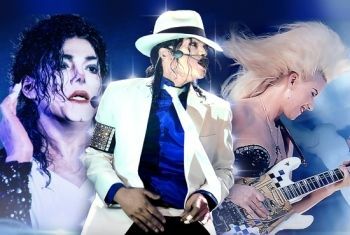 The show also features an incredibly talented live band and dancers who assist Navi in brilliantly recreating all the magical classics from the early Jackson 5 songs to the mega-hits such as Thriller and Smooth Criminal.